placing amenities, services, and all other benefits at their fingertips. Available for iOS, Android, and web. Use the app every month, on average. Out of 5 on the Apple App Store. 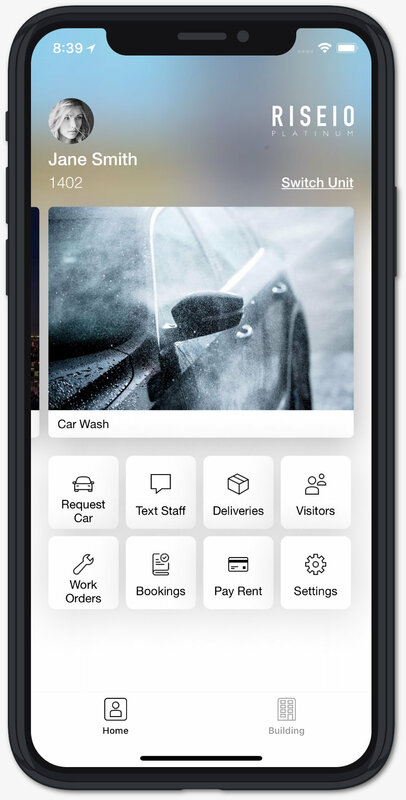 text building staff, check their deliveries, manage visitors, add work orders, book amenities and services, pay rent, and more. Reach your residents with building-specific content. Showcase announcements, advertisements, amenities, services, discounts, and any other custom content. 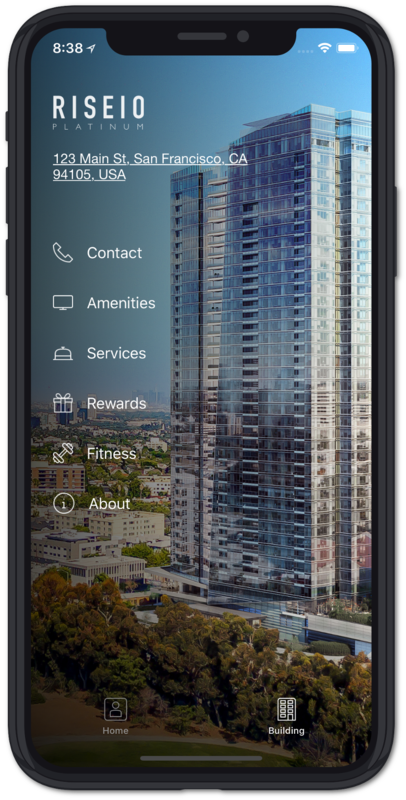 Residents can interact with the dynamic tiles to book a service, get more information, RSVP to an event, and more. Residents can request any kind of maintenance in seconds and track its progress. A streamlined booking experience drives significant building revenue. Residents can book guest suites, building amenities, car washes, pet grooming, personal training, on-demand massages, and any other services provided by the building or its partners. From friends to cleaning services, residents have 24/7 control over who has access to their home. amenities, services, local discounts, and fitness class schedule. the leasing office, concierge, maintenance, package room, valet parking, and more. Discounts with businesses that your building has partnered with, such as local restaurants and bars. Residents can learn more about what your building offers, check opening hours, and make bookings directly from the app. Residents can check the schedule of fitness classes and activities and add them to their calendar. 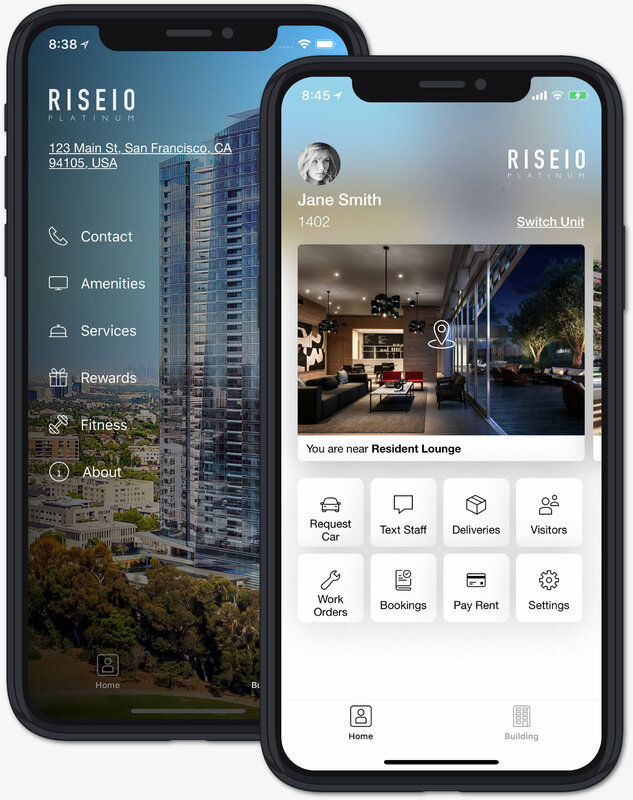 Upgrade your building with the native Riseio resident app for iOS, Android, and web. Impress your residents with a futuristic living experience.